A Wallabies star has expressed his devastation after his family home was destroyed when Cyclone Gita unleashed chaos on Tonga, also flattening the island nation's Parliament. With those emotional words, Wallabies prop Taniela Tupou began his prayers for his large family in Tonga caught in the destructive path of Cyclone Gita. The Category 4 cyclone unleashed winds of more than 200km per hour across the Pacific island where the government declared a State of Emergency on Monday. The powerful cyclone tore roofs off buildings, downed powerlines and caused extensive flooding as it lashed Tonga early Tuesday morning. It destroyed homes and churches and caused widespread power outages after it tore through the island nation just south of the capital, Nuku'alofa. The cyclone was continuing to intensify and was predicted to hit some southern Fiji islands Tuesday night. Experts predict the cyclone will miss Fiji's major population centres, including the capital, Suva. Officials described Severe Cyclone Gita as the most powerful storm to hit the capital, Nuku'alofa, packing winds exceeding 230km/h and dumping 160mm of rain. "It was a particularly bad night," Graham Kenna, from the National Emergency Office, told Radio New Zealand. "I've been involved in disaster response for 30-plus years and it was the worst situation I've been in." The howling winds peaked in the early hours of Tuesday and Kenna said teams were heading out at first light to assess the damage. But he said it was already clear there was widespread destruction in Nuku'alofa. "Someone's roof is in my front garden ... some of the old landmark buildings that are 100 years old have been severely damaged by debris," he said. About 800 families have been evacuated and are staying in a community shelter. Kenna said the military was clearing roadways and had rescued some residents, including a pregnant woman who went into labour and was taken to hospital. The storm cut power to the main island Tongatapu on Monday night, leaving many of its 75,000 residents in darkness as the winds battered them and debris crashed against buildings. But phone networks continued to operate and some of those affected shared their experiences online. "Hotel is shaking and can hear screech of metal flying past outside. Rain water coming in sideways to second floor room. Lord Fusitu'a, a hereditary peer in Tonga's parliament, wrote: "I can literally feel my room shaking to the foundations - it'll be a long night." Yet as the cyclone moved out to sea early Tuesday, he said Nuku'alofa had experienced "a dose of a miracle". "Astoundingly #TCGita seems to have subsided and we've avoided the worst of it," he wrote on Instagram, saying the focus would now move to rebuilding. The storm had already created havoc when it slammed into Samoa on the weekend and authorities in Tonga declared a state of emergency before it hit Nuku'alofa. However, Gita did not intensify into a maximum Category Five as feared and passed just south of the capital rather than making a direct hit. McKenna said the impact of storm surges on the flat terrain of Tongatapu was also less than expected. "It was very fortunate that the worst of the cyclone came at a dead low tide, so it sort of worked in our favour," he said. Chris Brandolino, a scientist at New Zealand's National Institute of Water and Atmospheric Research, said flooding and coastal inundation would likely cause as many problems in Tonga as the damage from the winds. New Zealand Prime Minister Jacinda Ardern said her government was on standby and ready to help Tonga, which is home to about 105,000 people. On Monday before the storm hit, publisher Pesi Fonua said people were busy nailing boards and roofing iron to their homes to try to limit the damage from coconuts, trees and other debris. 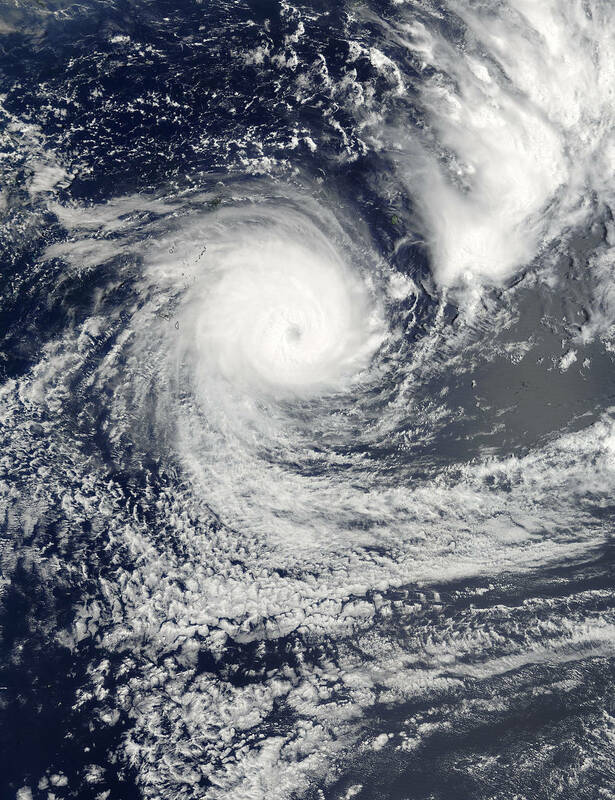 Cyclones are common in the Pacific at this time of year and Category Five systems have proved catastrophic when they make landfall.